The signs of the times indicate that we are on the threshold of the Tribulation — a time of unparalleled carnage that will befall the earth. The world will plunge into a period of time the Bible describes as the most horrific in all of human history. 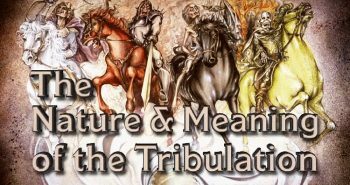 People are going to accept Jesus as Savior during the Tribulation, but how is that possible when the Church will be raptured away before the Tribulation begins? 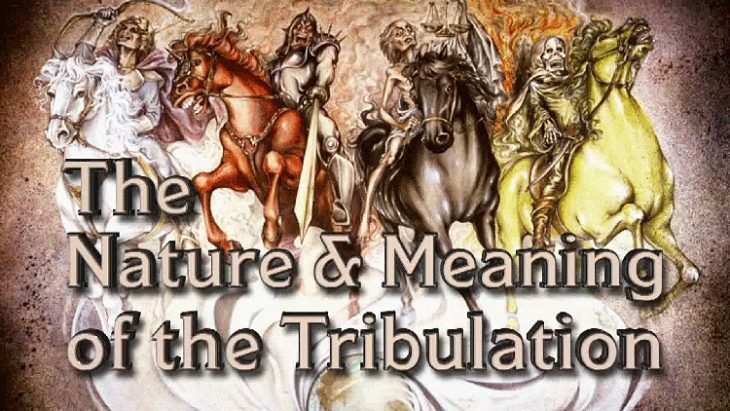 For the answers to these questions and many others concerning the Tribulation, Dr. David Reagan and Nathan E. Jones address these important end times questions. 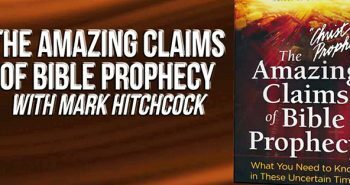 The full discussion can be found on a special television episode of Christ in Prophecy. 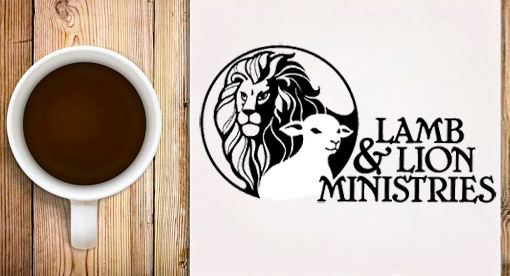 Nathan Jones: We here at Lamb & Lion Ministries are definitely strong believers that the Rapture is Pre-Tribulational, meaning the Church will be removed off of this earth by the Rapture before the Tribulation begins. We base this conclusion on the verses where Jesus defends and protects His Church, as Christians in this Church Age are not subject to God’s own wrath, as 1 Thessalonians 1:10 and 5:9 and other verses so wondrously explain. The looming question then concerns how people will become saved if the Church has left the planet and no longer remains to witness Christ to the unbeliever. When it comes to witnessing during the Tribulation, though, the world really does not need the Church here. After all, when reading through Revelation chapters 6-18, the text is very clear the Church isn’t even planet-side during the Tribulation. Revelation chapters 1-5 show the Church at the beginning of the narrative, but not in the middle chapters 6-18 which cover the Tribulation. Then the Church can be found in Revelation 19 rejoicing in Heaven and preparing to come with Christ back to earth in victory at His Second Coming. The very order of Revelation places the Church in Heaven during the entire seven-year Tribulation time period. God doesn’t leave the people left behind to endure the Tribulation without the Gospel. Revelation 11 explains that God will place during the first half those who will be the called the Two Witnesses. They are two Jewish men who will preach for 3.5 years from Jerusalem. The truth they are preaching about God will cause the world to hate them. Those who don’t heed their message to come to Jesus as Savior will vehemently wish them dead. The Lord will actually allow the Antichrist to end up killing them at the mid-point of the Tribulation as he ascends into the Third Temple and declares himself to be God. But, as the evil residents of the world party over the televised images of their corpses left to decay in the streets of Jerusalem, 3.5 days later God will miraculously resurrect them from the dead and rapture them up to Heaven. The shock the world will receive witnessing these two men taken up to Heaven should cause quite a number of stunned people to finally bow their knees to Christ Jesus. Then there are the 144,000 Jewish evangelists Revelation 7 and 14 describes. These 144,000 virgin Jewish men, 12,000 reserved from each tribe, will accept Christ as Savior. God will mark them as His own and empower them with the evangelistic power of an army of Billy Grahams. These men will become super preachers for Christ, and nothing can stop them, not even the Antichrist, from sharing the Gospel message. What grace! How amazing that God will make sure that every single person receives the message of salvation right before God pours out His final wrath. Nobody will be able to claim they never heard about Jesus and His salvation. By the end of the Tribulation, every person on the planet will have the opportunity to choose or reject Jesus and His salvation. Now that’s grace! Besides these three powerful methods of getting the Gospel out during the Tribulation, just think of all the Christian materials that the Church will have left behind. Bibles and Christian TV shows and books and articles and magazines and everything that Christians have put online will be there for a time for those left behind to view. The Antichrist cannot possibly destroy all of those materials, so for a while the materials will remain. Seekers puzzled by the Rapture and the judgments that will befall the world will learn from these resources and seek salvation. Dr. Reagan: Just think of the massive number of Bibles that will be be left behind. Bibles will be lying all over the place! In fact, it’s a good idea to add to the front of your Bible some kind of message about what people must do to become saved. I hope that every Christian will take the time to write the Gospel message in the front of their Bibles. It could be that the people of the Tribulation are not going to have a lot of time to sit down and study once God’s judgments start falling. These Tribulation seekers need to be able to be directed to the verses that will show them how they can relate to Jesus Christ and be saved. And then, of course, the Internet will most likely continue to exist, at least at the onset of the Tribulation. Christians today have spent a lot of time adding Gospel resources online. It may take quite a lot of time for the Antichrist to get all of the Christian materials taken down. I encourage believers to post as much Gospel as you can everywhere across the Web. Nathan Jones: Also, there are thousands of Bible apps people can download right now, so we don’t even need to leave paper Bibles behind. As long as a person has a working mobile device, they can carry their digital Bibles along with them. Surely, the Antichrist will desperately attempt to purge the Gospel off of the Internet because he wants the world to worship him alone. Especially at the mid-point of the Tribulation and on, the False Prophet will make Antichrist/Satan worship mandatory. Before the Bible apps are purged, there will be time for people to encounter the Gospel. Lamb & Lion Ministries has even created a left behind video called Jesus Came. What’s Next? to help those people shocked by the Rapture and who realize they we’re left behind. This video is meant to help them get the answers as to what has just happened and what will happen during the Tribulation. Dr. Reagan: The final method God will use to force people on their knees to repent of their sins is by His own wrath. Sufferings and trials often cause people to seek the Lord and come to repentance. Revelation 6:16 describes the world’s inhabitants crawling into caves and crying out to the mountains, “Fall on us and hide us from the face of Him who sits on the throne and from the wrath of the Lamb! For the great day of His wrath has come, and who is able to stand?” It’s tragic that these people held out so long, but the wrath of God will cause many to finally open their eyes and acknowledge the God of Heaven. It makes sense that the interpretation of “cause” would reveal a group needing no force to receive the mark – the unsaved. Therefore, it seems as if the tribulation would come upon a church still on earth – a group that would be its highest resistors. This makes more Divine sense to me. According to Sadhu Sundar Salveraj, the tribulation will be the last test of the church’s “faith” to the YHVH. Your thoughts? Continue your good work in the Lord. Thanks Phylicia. I believe the Church/Believers will be taken away before the 144,000 descendants of Jacob/Israel preach the Word to the World. I wish God’s blessing on you Nathan and David. Your thinking is sincere and logical, but unfortunately not full of insight – Dan 12:3 & 10. At least not yet. God alone supplies the rest. I hope He grants it to you gentlemen. Have you ever viewed the movie “Vantage Point”? If not, it might be a good addition to your thinking on proper biblical hermeneutics … at least for the book of Revelation.